Owner Karen has had a long fascination with vintage automobiles and campers. She even managed the national advertising campaigns for several large automotive manufacturers like Oldsmobile, Ford, Toyota and the list continues. And while other little girls played with dolls, for as long as she can remember, Karen coveted vintage classics vowing some day to be the proud owner of one. 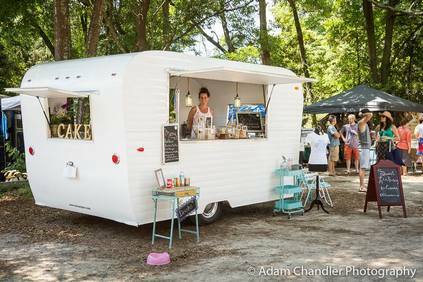 Flash forward to today and Charleston's Sweet Lulu's Bakery On Wheels was born; a different twist on a traditional food truck. After almost a year of scouring eBay, Craigslist and numerous vintage camper trailer websites, she finally found the ﻿purr-fect canned ham﻿. 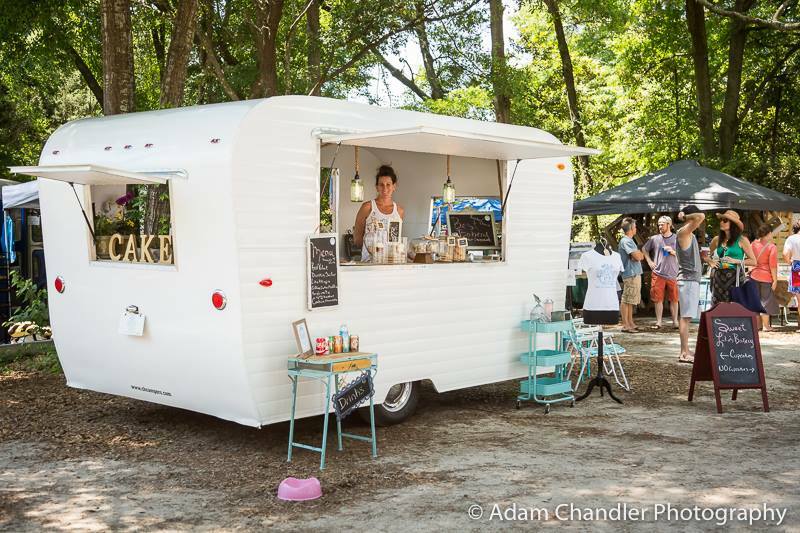 Our vintage camper bakery caravans, Pearl and Mini Pearl are available for your birthday party, Charleston wedding or other catered events like oyster roasts, graduation parties or corporate events. Their interiors are equally impressive. 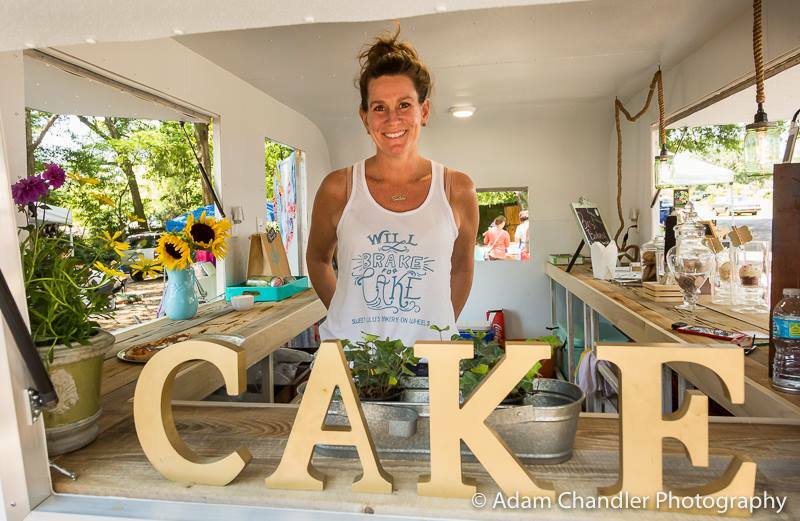 Decked out in a chabby chic vibe including mason jar pendant lights, white-washed cabinets and a stunning reclaimed pecky Cypress wood counter top compliments of Gable By-Products, our girls are hands-down the prettiest food truck in Charleston.